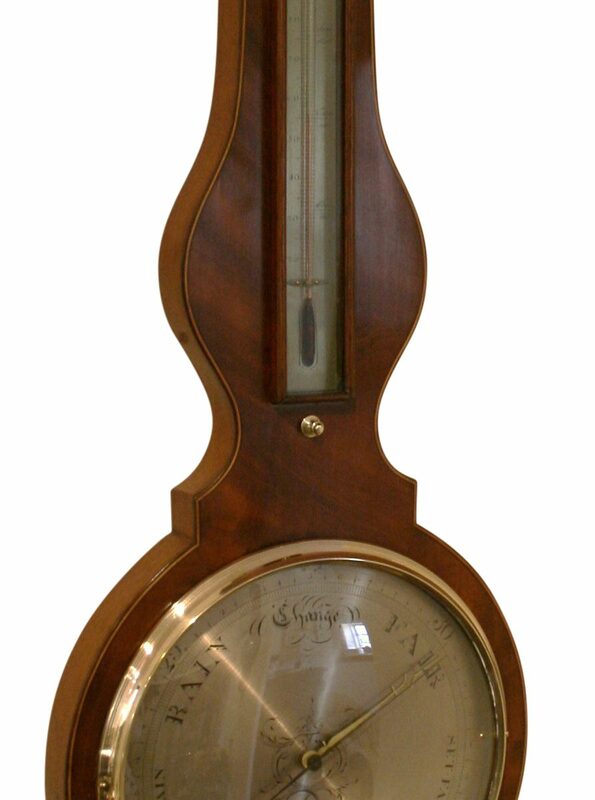 A Georgian mahogany four piece wheel barometer by G Fognetti & Co,Worcester. The mahogany case is edged in a ebony and box wood lines. The top has a swan neck pediment with a brass urn in the centre. Below this is a hygrometer, alcohol thermometer,10 inch mercury barometer dial and level bubble.